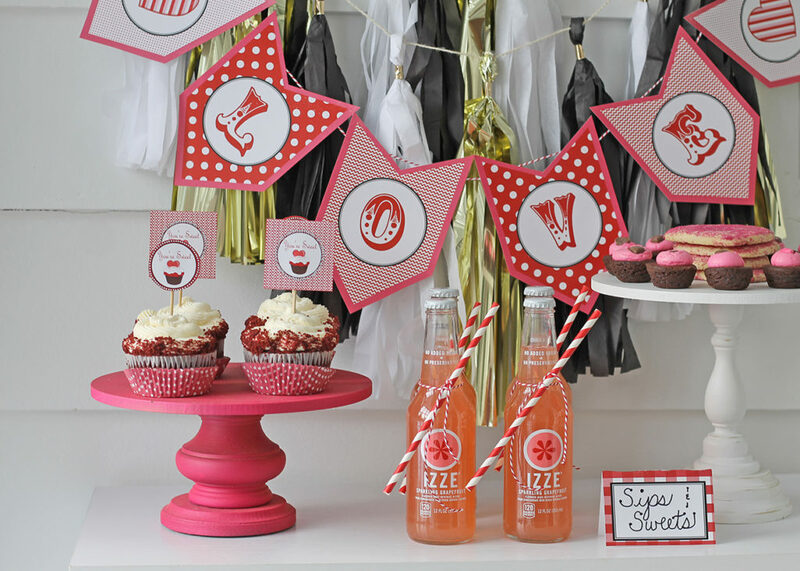 You all know how much I love decorating and styling a party table! 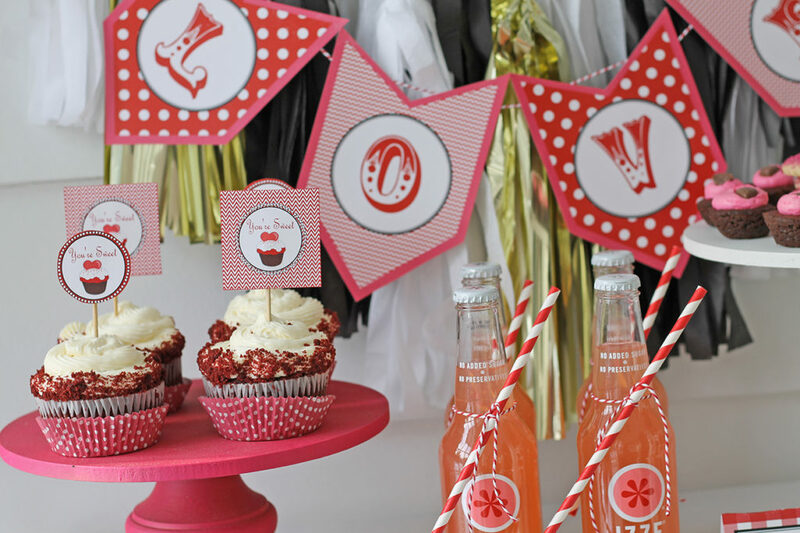 The garlands, the banners, the napkins, the food labels, the coordinated colors and patterns, the cake pedestals, the food and drink…I love it all! So it goes without saying how thrilled I am to be a brand rep for Sunshine Tulip Design! Christina’s designs are so fresh and crisp, and she is so willing to work with you on any custom design you wish. 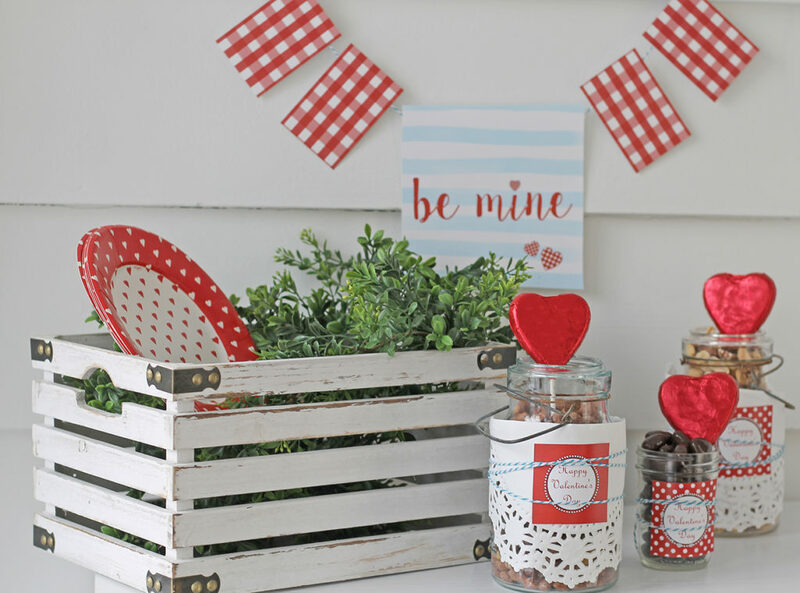 Today I’m sharing three ways to style and use her valentine designs, which are so fun and colorful. When I received them, I had so many ideas on decor to coordinate with the printables. There are so many ways to use them and decorate with them! First, I created a “Sips & Sweets” table. This would be a fun dessert table. 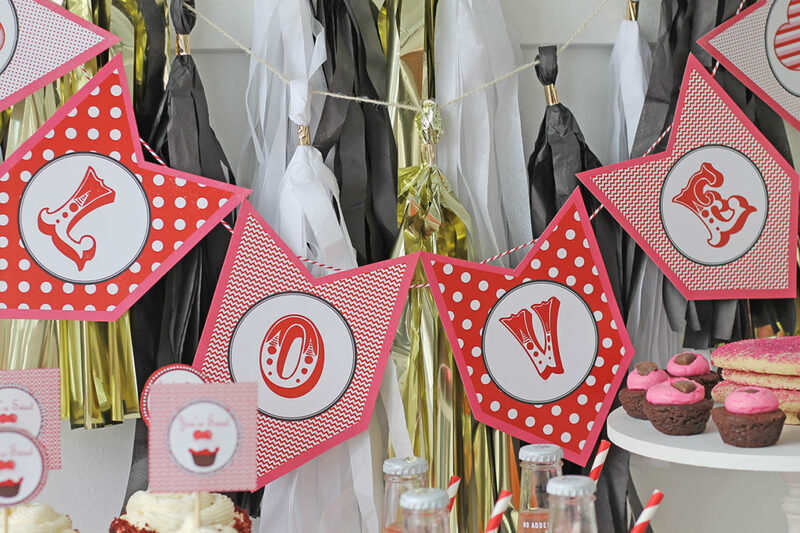 While the sweet treats are the highlight of the table, the whimsical LOVE banner makes for the perfect backdrop mixed together with a black, white, and gold metallic tassel garland. Have I told you how much I LOVE this banner! The font style used for the letters is so cute! And the polka dots get me every time! 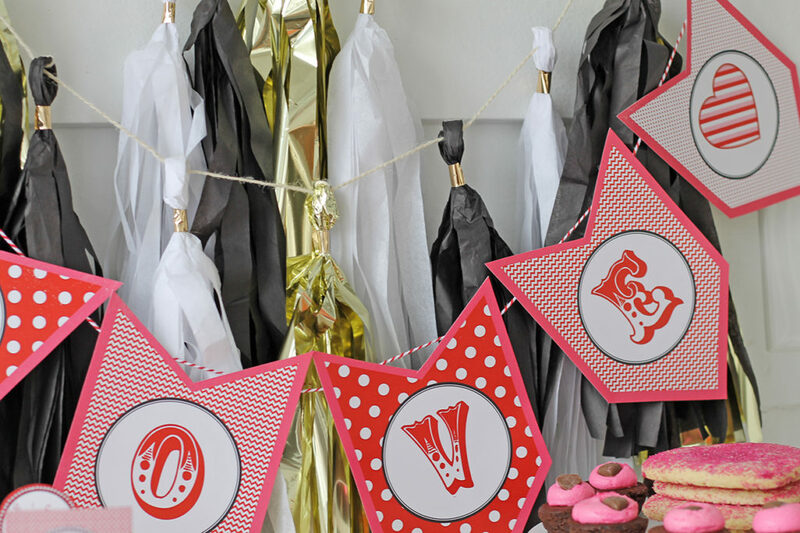 It was super simple to create this…cut out the individual pieces of the banner and attach them to some string or baker’s twine. And hang it…don’t forget to HANG it! Look how cute these cupcake toppers are! 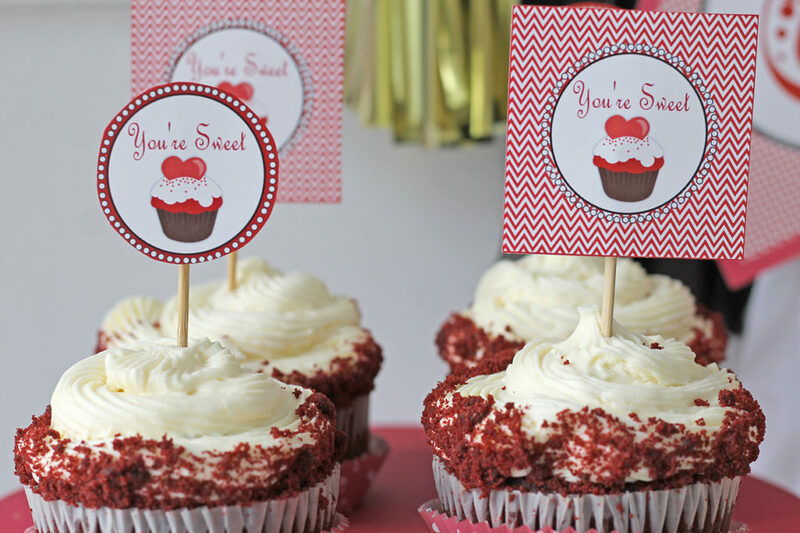 You can leave them square shaped or use a circle punch…I did a combination of both and attached them to wooden skewers before sticking them in the red velvet cupcakes. 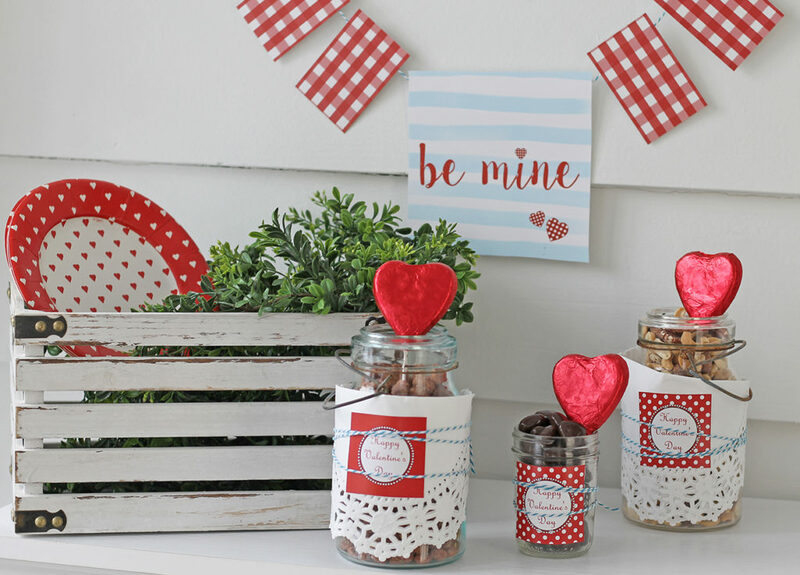 The red gingham checked cards are perfect for labeling items on the table. 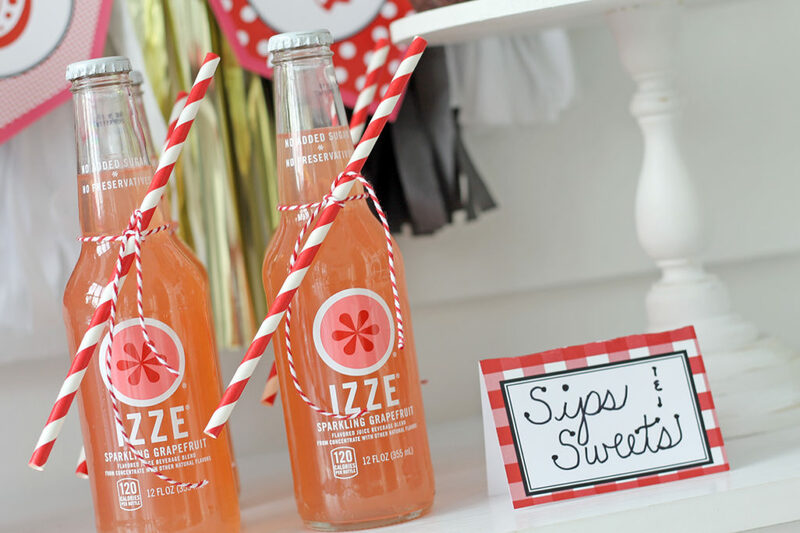 My “Sips & Sweets” sign is a fun addition to the table! 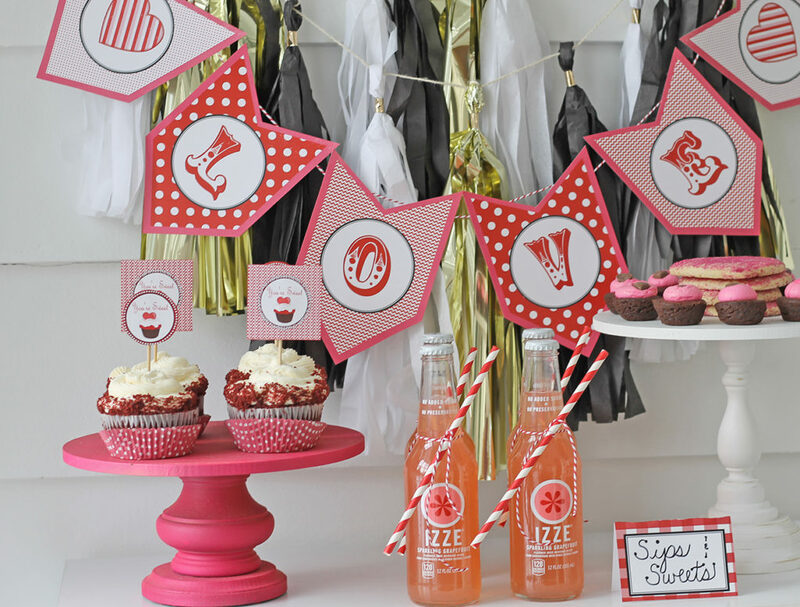 I just love how the printable items pulled it all together and added so many whimsical touches to the dessert table! Now when we think of Valentine’s Day, we usually think of red and pink…but I also love this fun twist on colors for February. I saw this blue and red color scheme a lot during Christmas, and I’m glad to see it is still trendy. 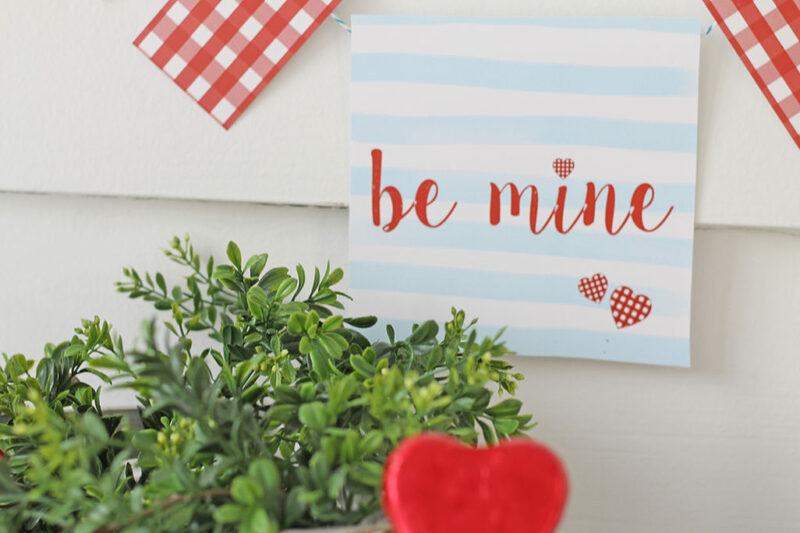 Isn’t that “be mine” sign adorable? I added some strips of the red gingham pattern to it to make a banner. 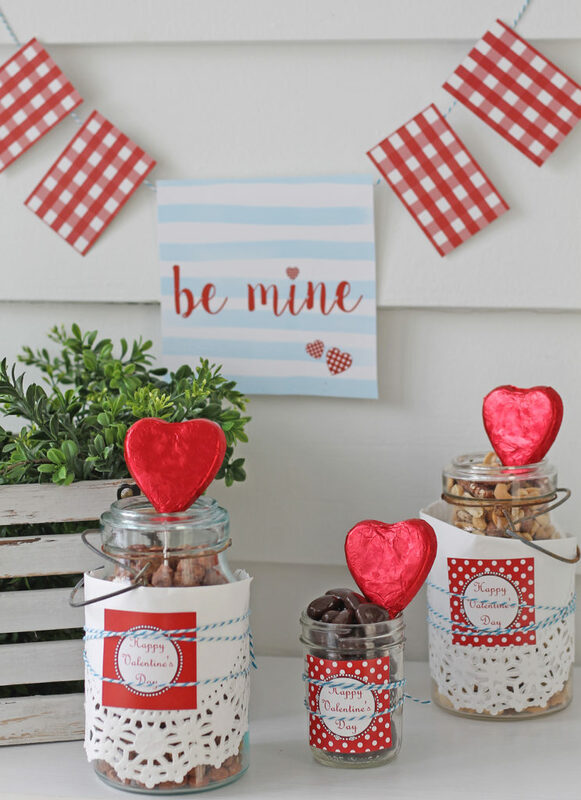 For this snack area, I filled some mason jars with various nut mixtures and chocolate hearts. 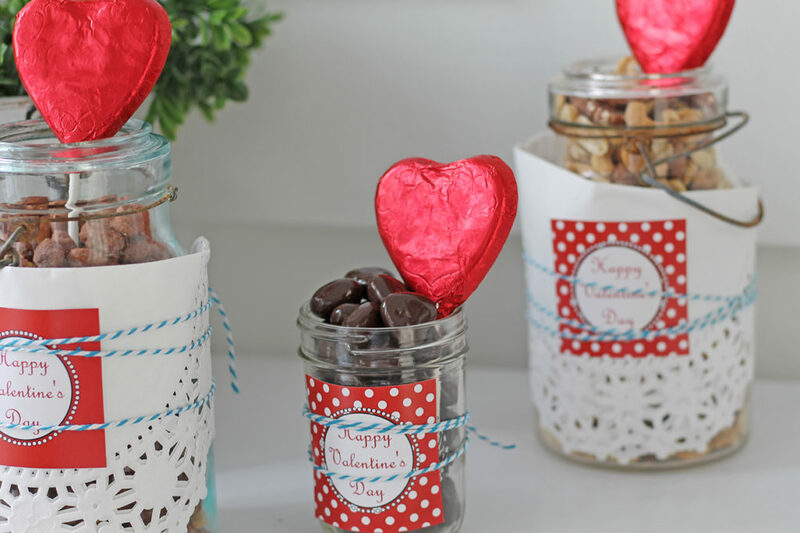 I wrapped the larger jars with white doilies and tied some of the valentine printable cards to the jars with blue baker’s twine. 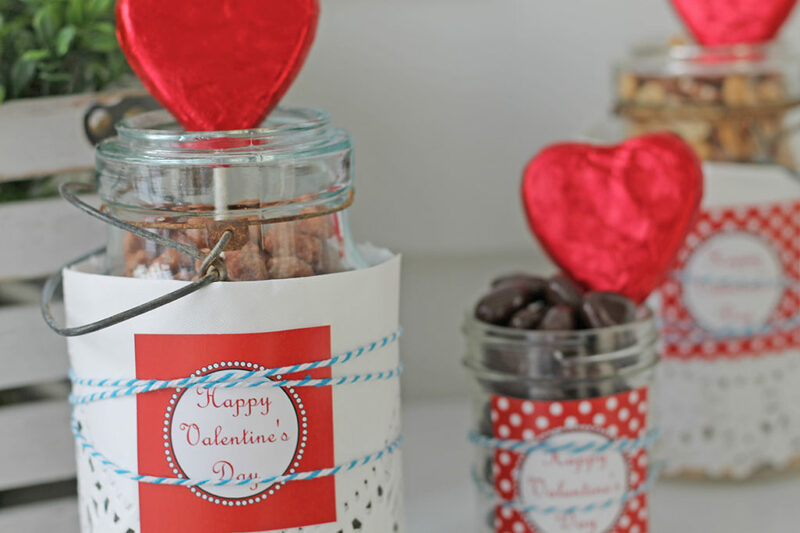 I topped off each jar with a chocolate heart wrapped in red foil. 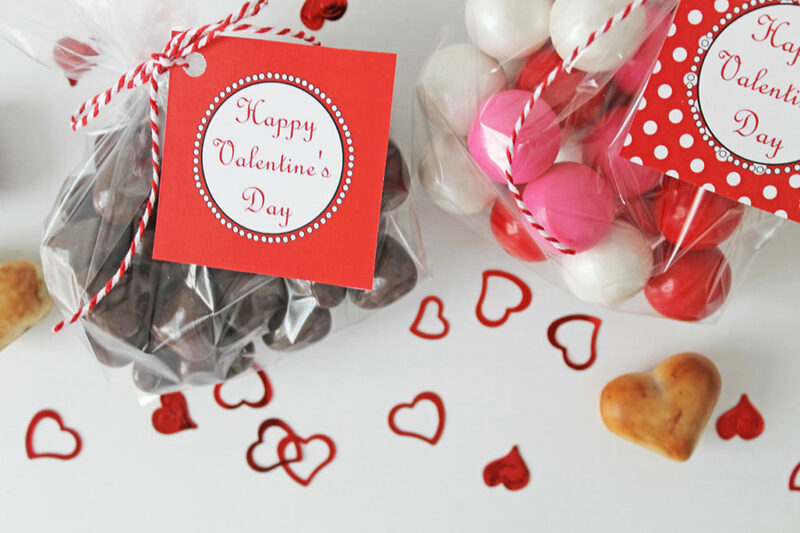 Another use of those adorable “Happy Valentine’s Day” tags is for some treat bags. 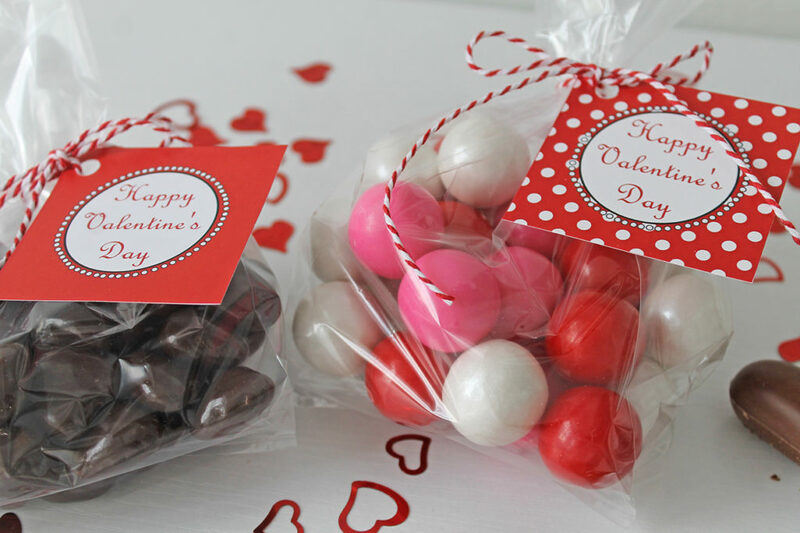 Fill some cellophane bags with colorful gumballs or chocolate hearts and attach a tag with some baker’s twine. 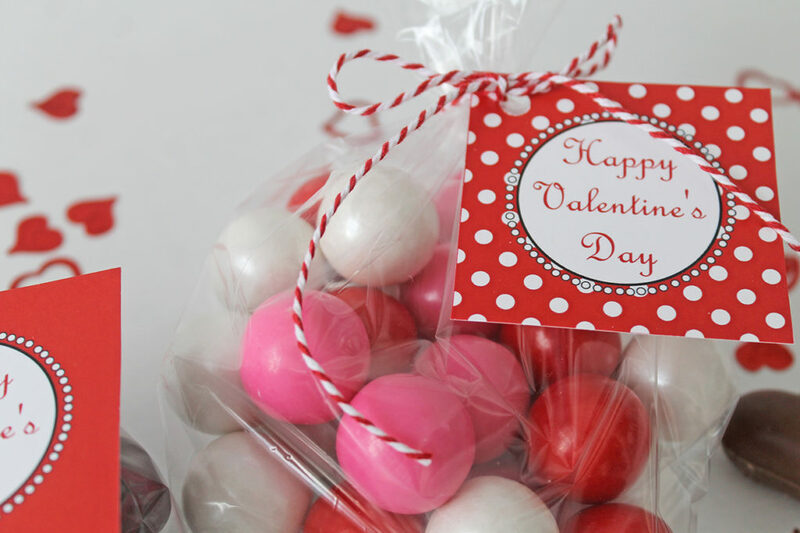 Perfect for favor bags at a party or valentine treat bags for a classroom! I hope today’s post inspired you to start thinking about Valentine’s Day…it’s less than a week away! Be sure to check out all the Sunshine Tulip Designs HERE and HERE. You won’t be disappointed! Oh thank you, Katie! I had so many more ideas for Christina’s fun designs…just not enough hours in the day, though.